so we are really looking forward to the weekend. and full of sunshine. Our temperatures reached the 80's just this past Wednesday. As you all know, we are getting ready for the arrival of our son and his wife. After five years of Navy life, he decided to put to good use in the civilian world all the schooling and training he has received during his military time. will be born two weeks later. They will be staying with us while she recuperates and they find their new home. with the space we have available. 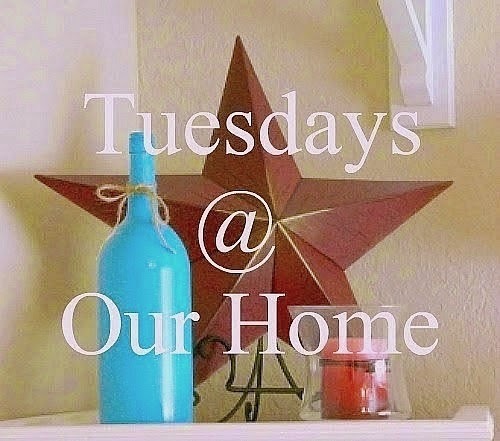 It seems that during the whole month of January, all I have done is organized our home. I have gone through about every closet in the house. And in the last few days I finally have been able to clean and organized our kitchen. There is a reason for all this madness, you see, our son and his wife will be coming home for good in about five weeks, and soon after, our grandson will be born. Our kitchen island also serves as great storage. We had a wonderful party last week. I was very happy to see how many of you joined my little party, 166 links! Here is just a small preview of the most viewed links. 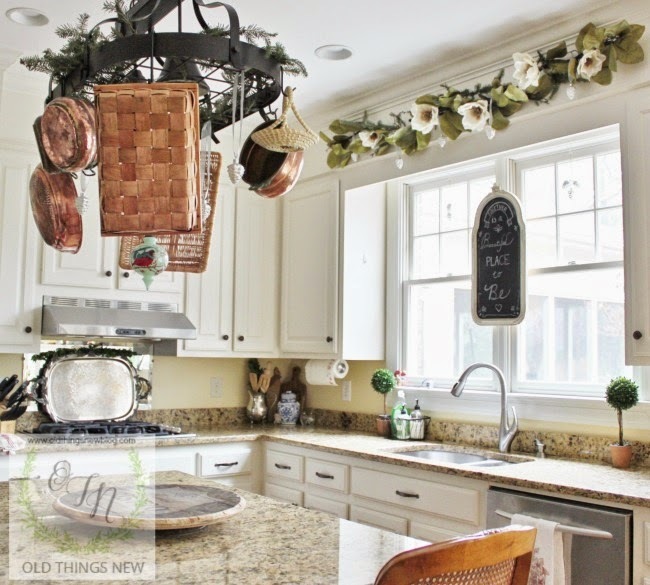 Jody at Southern Seazons shared the beautiful changes she has made in her kitchen. 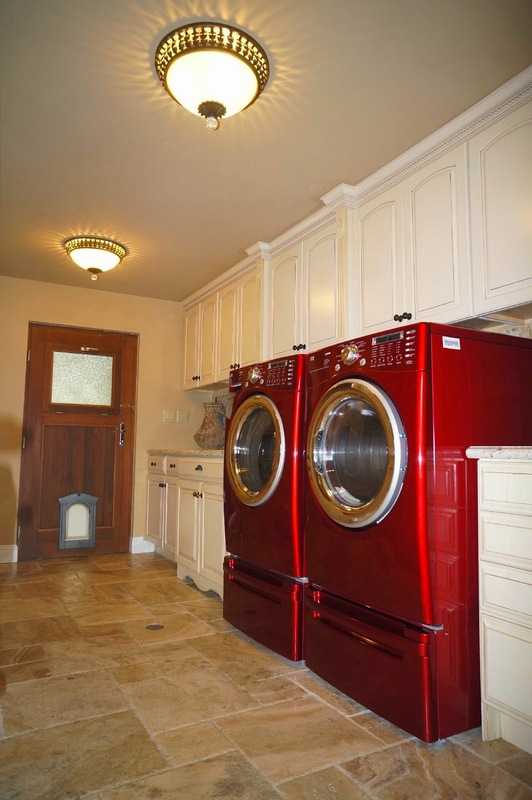 Linda at Life and Linda renovated her laundry room using her original kitchen cabinets. 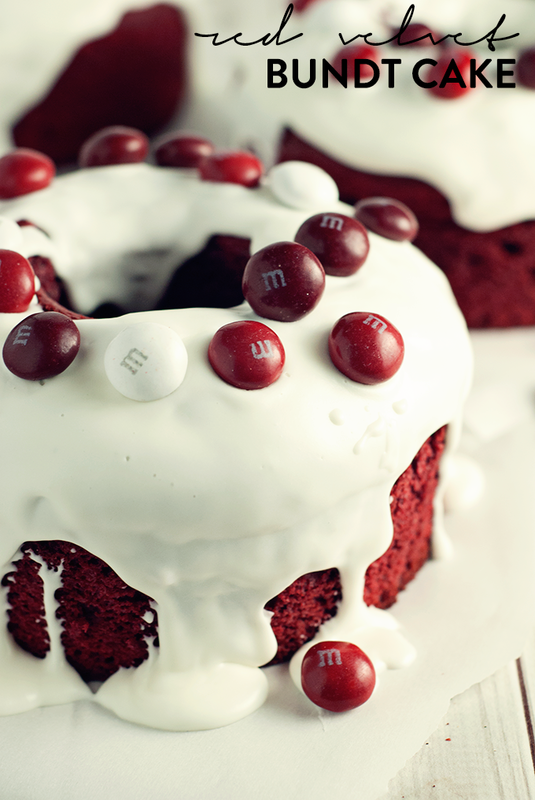 Karly at A simple Pantry share an awesome recipe for Red Velvet Bundt Cake. Gina at Random Thoughts shared her beautifully decorated dinning hutch for winter. 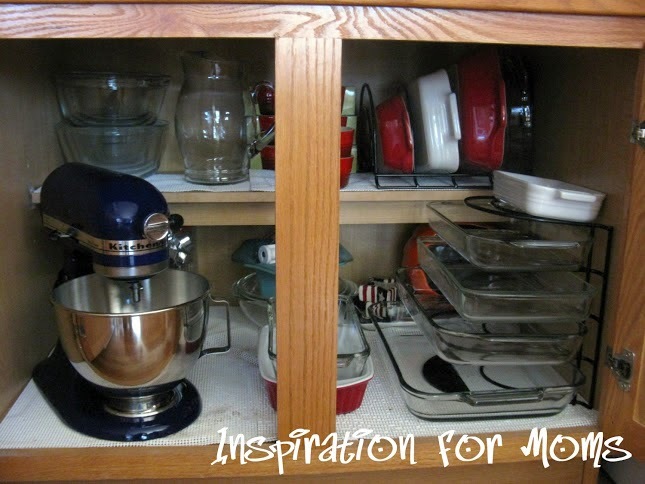 Laura at Inspiration For Moms shared how she organized her glass bakeware in a very easy and inexpensive way. 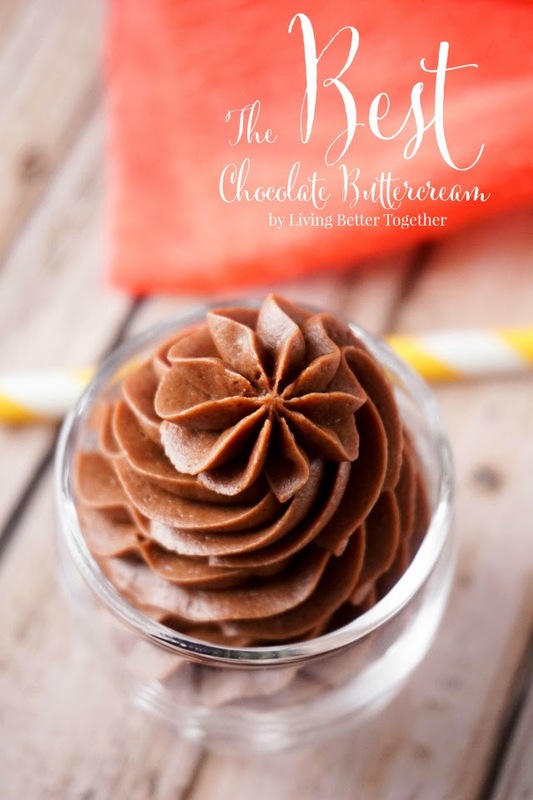 If you have a sweet tooth like me, then you have to go pay a visit to Rebecca at Living Better Together, where she shared an amazing recipe for Chocolate Buttercream Frosting. 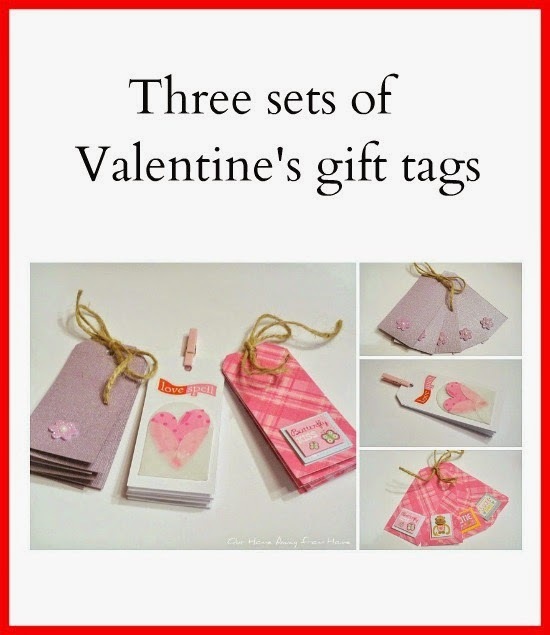 As promised, today is the day the winner of my small Valentine's giveaway is announced. First, I want to thank you all for taking the time to stop by and enter. 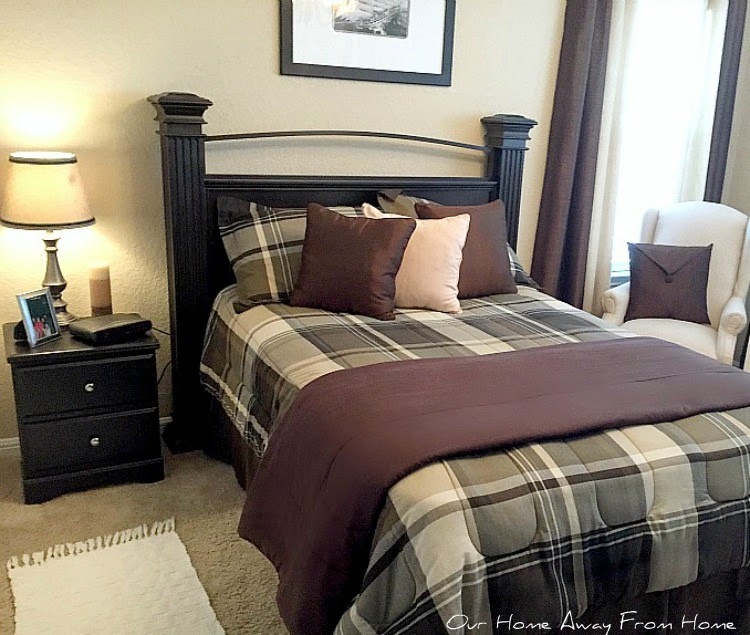 Little by little, our home has returned to normal after taking down all the holiday decor. I have plans for this room before Spring and I will start the changes soon, but for now, this is what the room looks like. 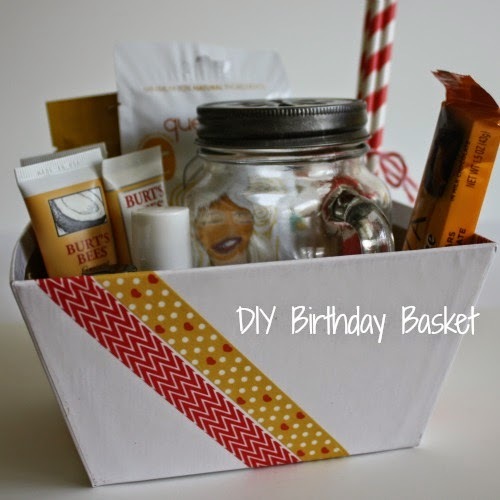 Today I am sharing a quick project I put together last week. 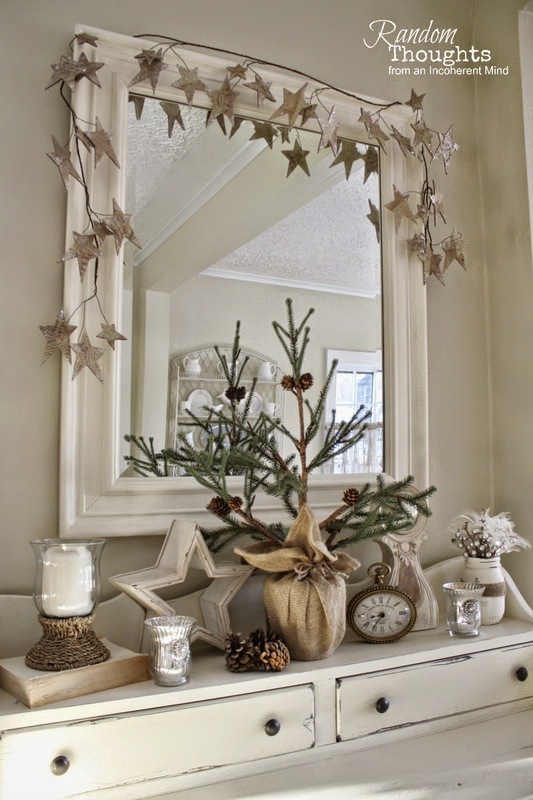 Browsing through Pinterest, I came across this link on how to make a paper boxwood wreath. I found it on a blog I had never visited before. Beautiful blog, by the way. several DIY projects we will start soon. Lets take a look at last week most viewed links. Pinky at Designs By Pinky shared her beautiful winter mantle. Patti at Old Things New took us into her kitchen to show us how she decorated her window without using any curtains. 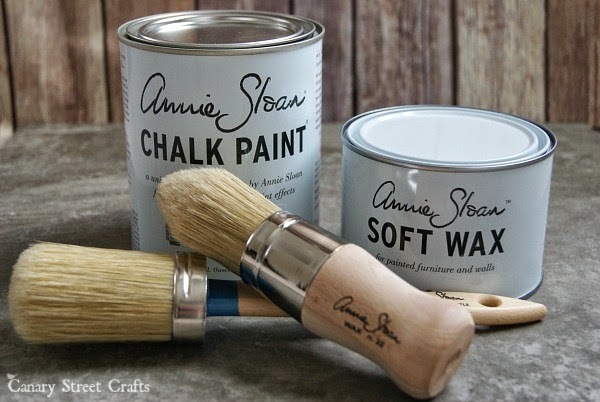 Amy at Canary Street Crafs shared some great information on the do's and dont's when painting with chalk paint. 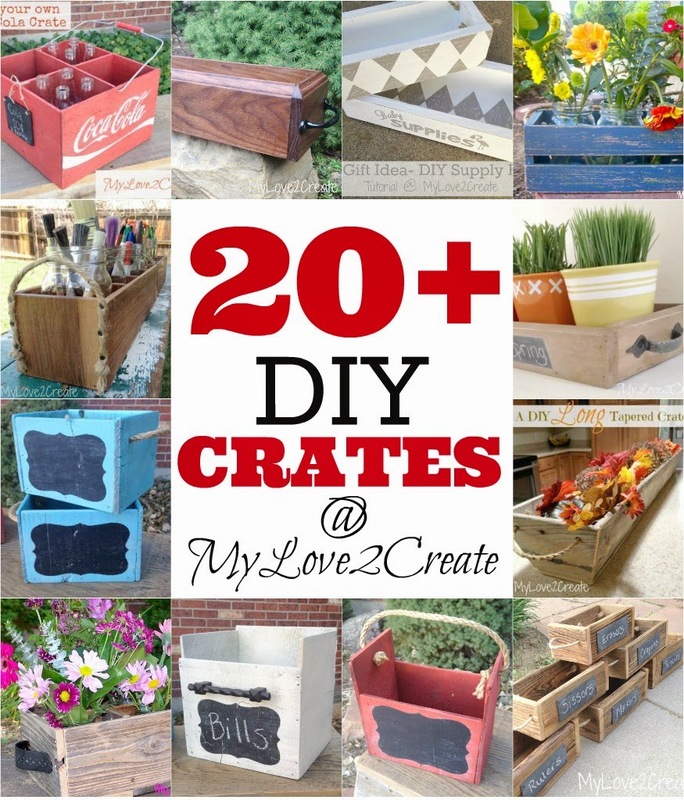 Mindi at My Love 2 Create shared a great post on 20+ ideas on how to make your own crates. 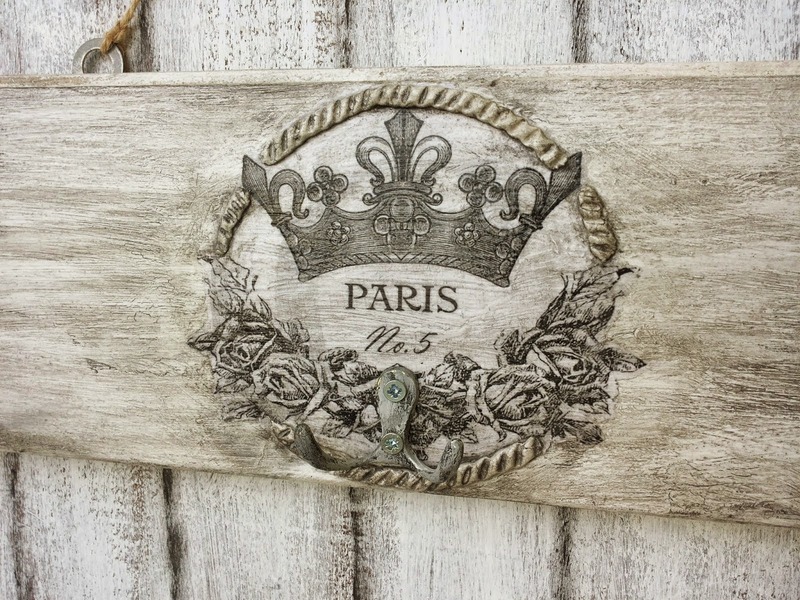 Marinela at Martinel made a gorgeous vintage coat rack. 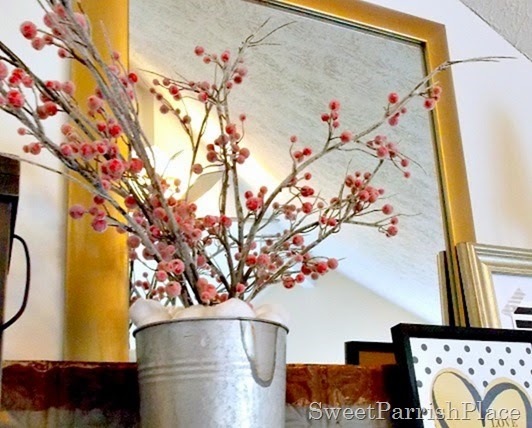 Nicki at Sweet parrish Place shared how she updated an old mirror with Rub 'N Buff. and always leave me such wonderful comments. It really means a lot to me and I appreciate sooo much your time and friendship. For that reason, I wanted to host a small giveaway to thank you all for everything you do. That brought me to have to clean our storage space to make room for everything. What a disaster! 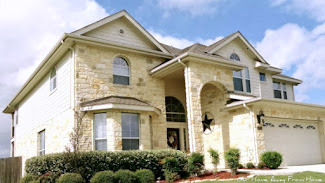 I am happy to say, after almost two weeks of continued work, the house is now back in order. WOW! Of course, everything feels really empty and without color after all the bright lights and colors of Christmas. Anyway, today I am sharing with you a glimpse of our kitchen cleaned and ready for the winter months. to transfer an image to wood. of my own pictures. It was so super easy! Here is a tutorial on how I did this. I apologize for being away from the blog for a bit. After the Holiday rush, I sure needed a few days to get myself and my home back in order again. On the other hand, Tuesdays at Our Home started the year nice and strong. 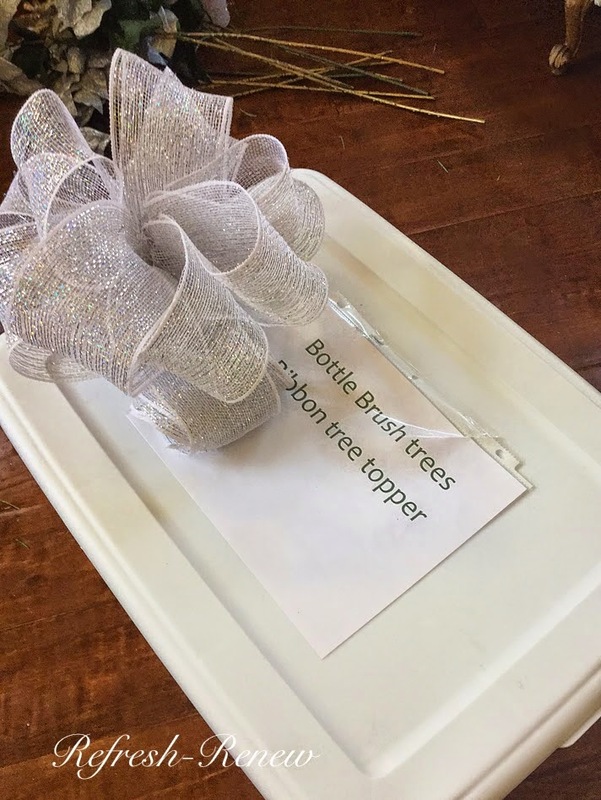 I was so surprise to see so many new links and bloggers. I thank you all so much for taking the time to come party with me. 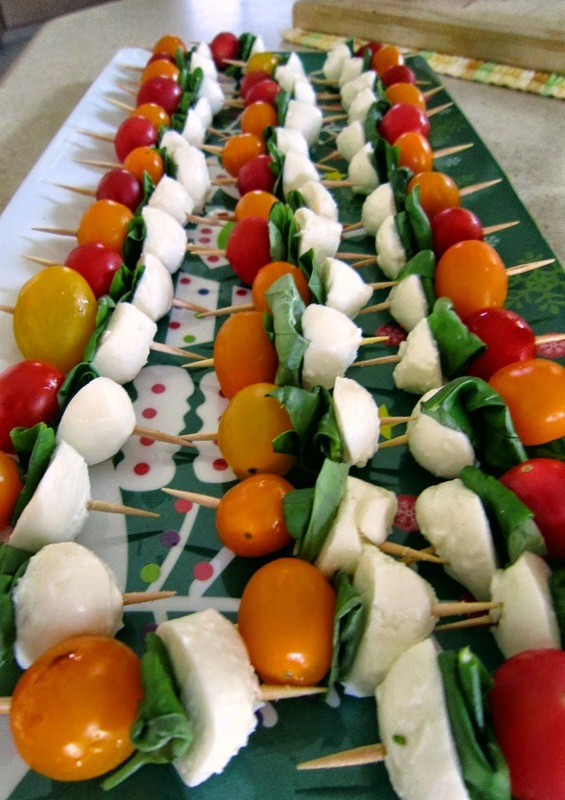 Here are some of those fabulous links. 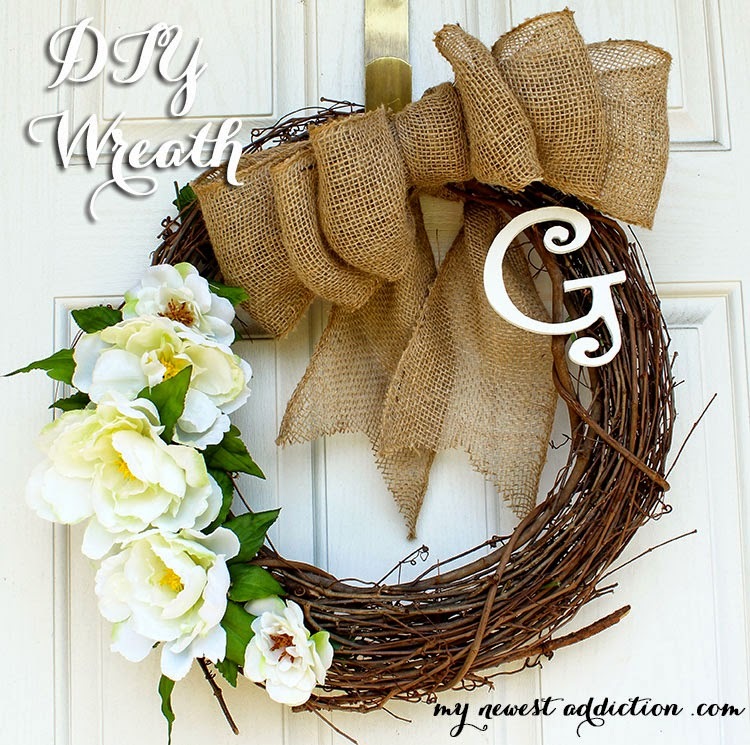 Laura at My Newest Addiction made a gorgeous wreath that can be used for all seasons. 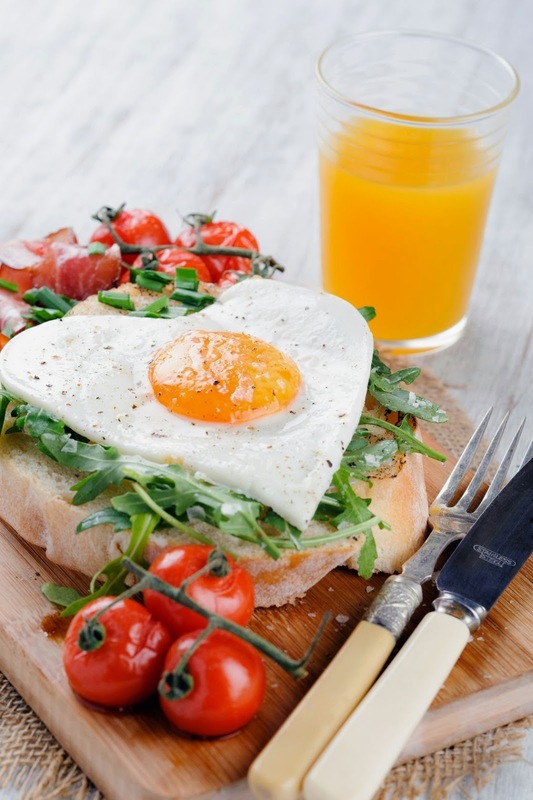 Cathy at Our Mini Family shared a beautiful and healthy way of celebrating Valentine's Day. Lani at Life Anchored put together a beautiful gift basket. on how to make Winter candle holders. 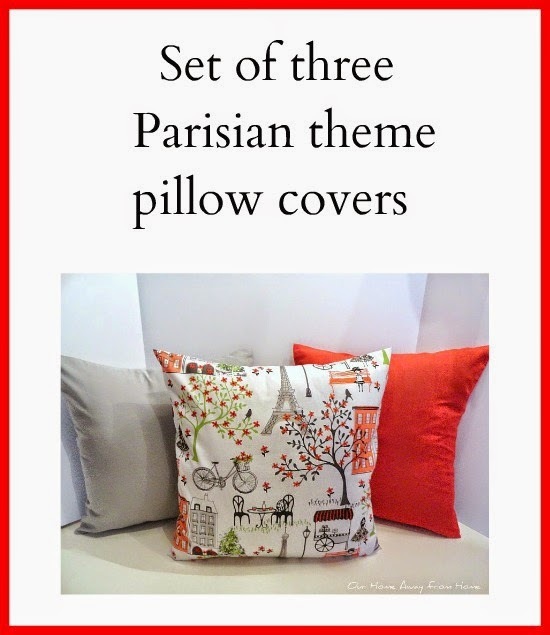 Another great post was shared by Dana at Chocolate & Sunshine. 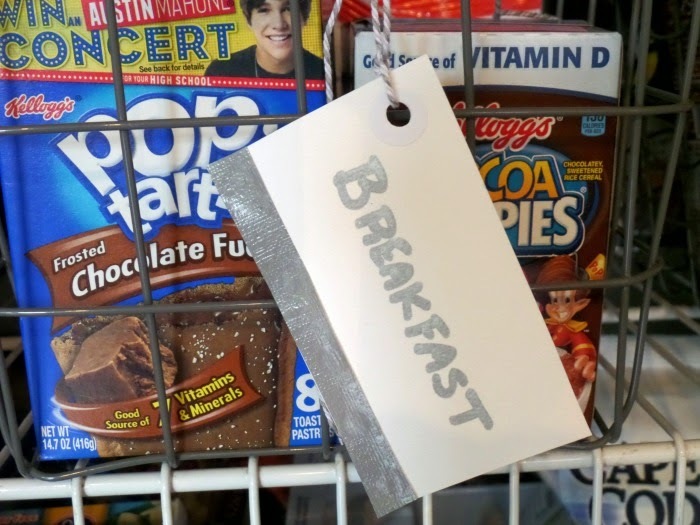 She gave us great tips on organizing your pantry. Aimee at Refresh -Renew shared very helpful ideas on organizing and storing all your Christmas decorations. Before we start this party, I want to wish you all a very blessed and happy New Year. a look at last week/year :) most viewed posts. 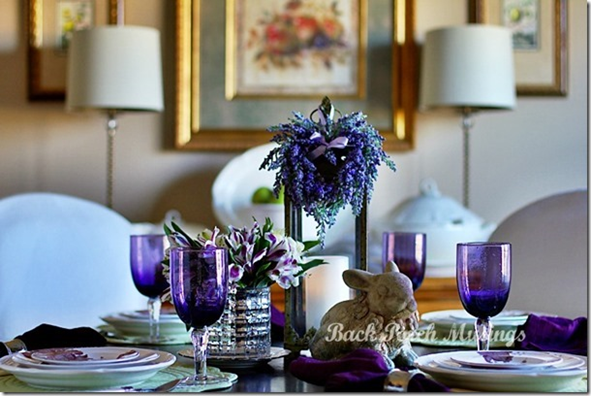 Pat at Back Porch Musings shared with us a gorgeous collection of 2014 posts on her blog. 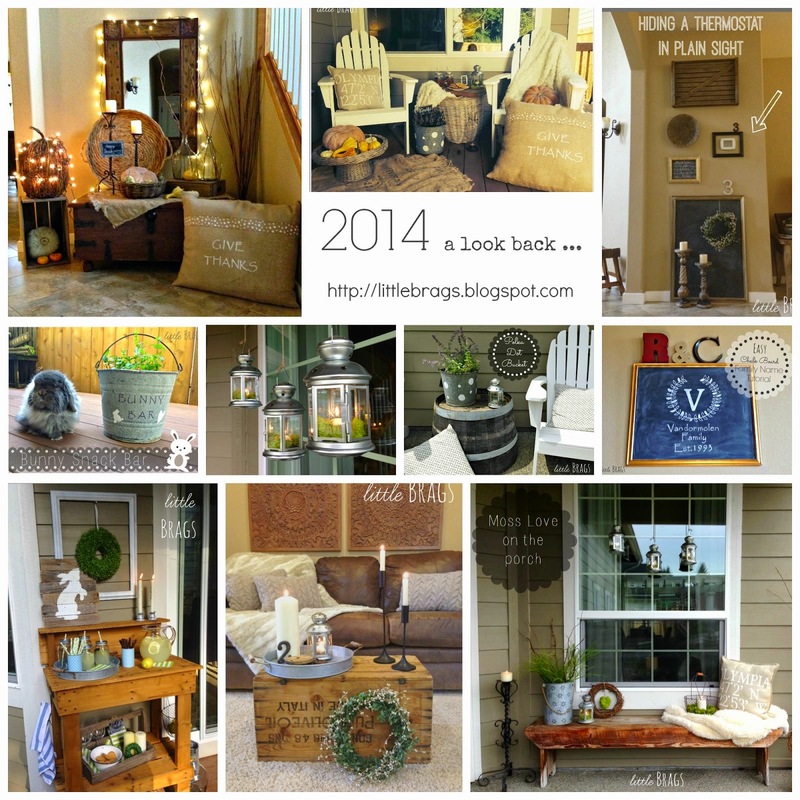 Another beautiful and very inspirational set of 2014 posts was shared by Christine at Little Brags. 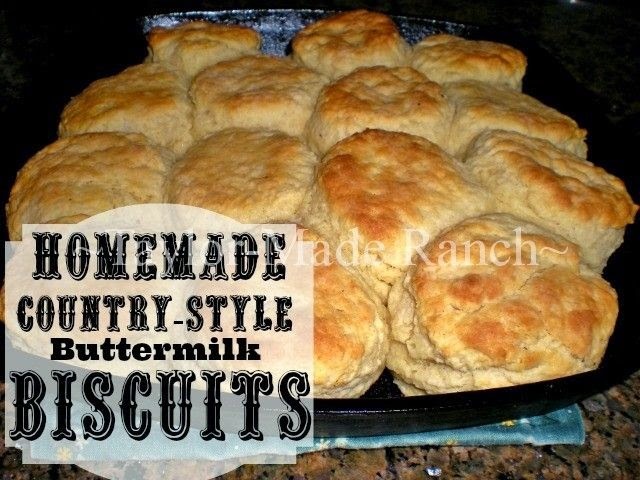 Tammy at Taylor Made Homestead also shared some wonderful home ideas and yummy recipes. Debra at MsMoozys Open House had some gorgeous 2014 posts to share. 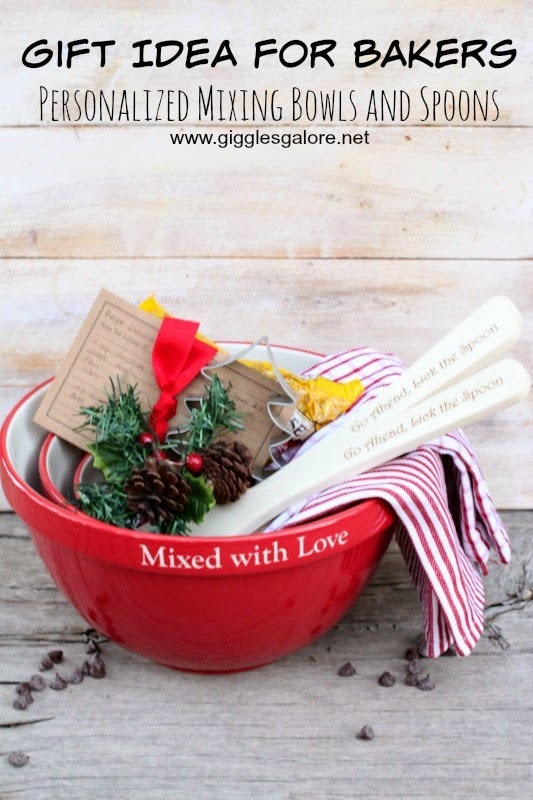 Mariah at Giggles Galore shared a beautiful gift idea for bakers. I love this set and I think it would make a very nice gift for any occasion.